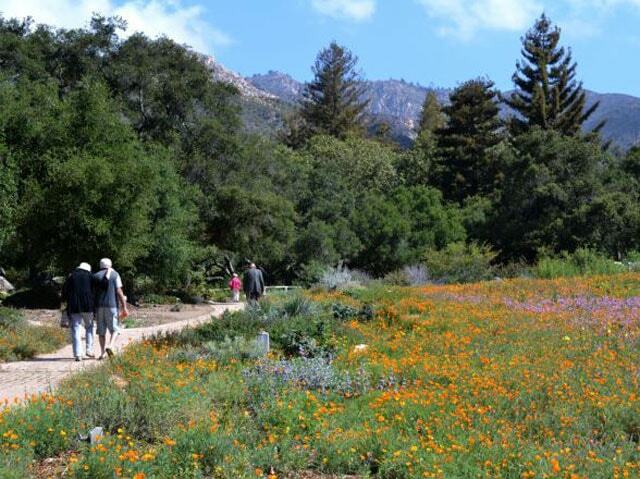 If you visit Santa Barbara Botanic Garden, there will be someone who guides us. She is Betsy Collins, a director of horticulture of the garden. 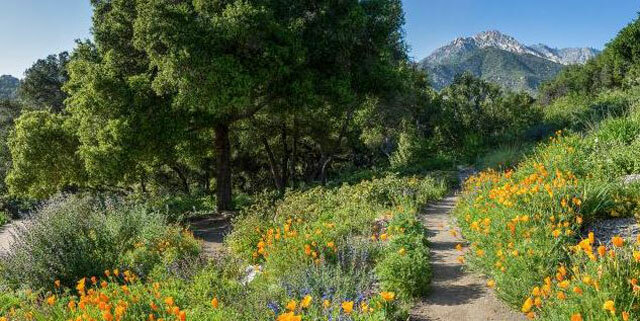 She will lead us to pass and explore a botanical garden that is specifically made to grow native California plants. 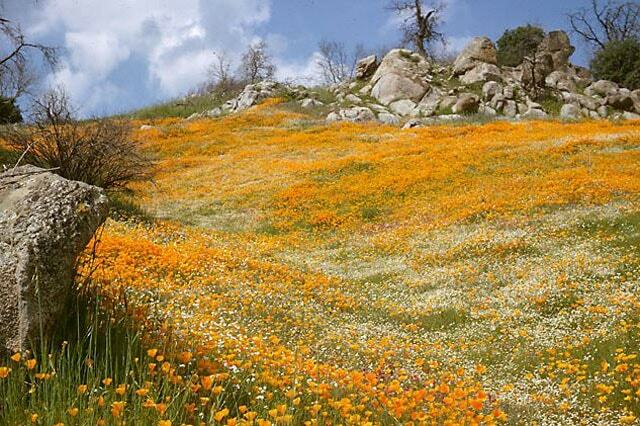 There are about 6000 native plants planted and a beautiful view for every visitor. 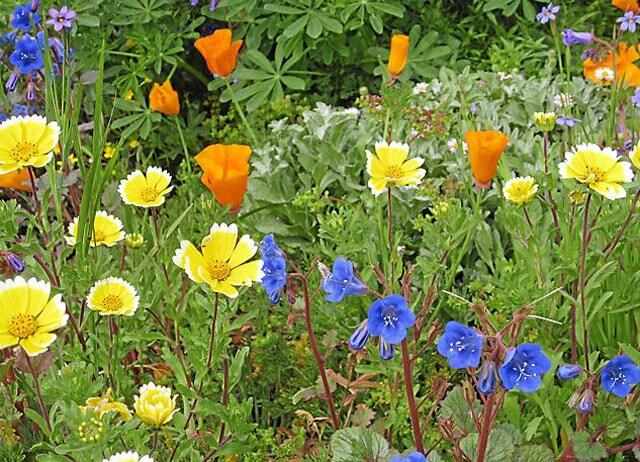 This garden is dedicated to loving plants from California. That is one of the goals of making this living museum. There you can see various types of plants and all are arranged neatly to numbering. In SBBG, all plants are numbered, and carefully marked and all data stored in the database. One of the uniqueness of the Santa Barbara garden is the yellow lupine that adorns the garden. This gives a difference with other parks in general. The Lupine grassland with yellow flowers is now in the process of being converted into wild grasslands. Furthermore, another interesting thing is the redwood tree. At Santa Barbara Botanical Garden there are redwood trees, this is the highest tree in the world which is widely found along the west coast. In Keun there is also a herbarium that holds many plants, there is also a collection of various types of plants. Every plant in this collection has a complete document about the origin of the plant and identification of the plant. Another interesting thing is the existence of a bank for crop seeds. In the grain bank, the seeds are kept pure, sifted, and frozen to be stored for a long duration. Seeds that have been packaged will last up to 100 or even 150 years. There is one freezer that is used to store plants very rare and stored under the key to ensuring it stays alive. This is called conservation seed collection. There is another freezer in Santa Barbara Botanic Garden which is useful to store seeds from living collections. This seed will be used to grow new plants when the plants are damaged or dead. So, storing these seeds is very important to ensure the plants are not extinct. This botanical garden is located in the red zone or the high-danger fire zone. In 2009 many gardens experienced fires and damaged around 75% of the gardens. Hopefully, this botanical garden can protect the seeds from extinction so that no plants are lost or extinct. Can Cats Eat Lettuce? What About Cabbage?